Whether you are a tourist in a new city or a resident looking for new entertainment hubs, finding a suitable venue can be tough at times. 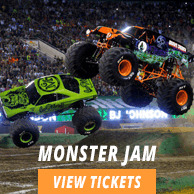 We bring you the best tickets for concerts, theater and sporting events taking place at venues all around the country. Our Heymann Performing Arts Center tickets are sure to match your budget and seating requirements. We also feature other important venues, so that you can keep track of your favorite event and grab tickets for the one that fits your schedule. Buy your tickets now for a memorable experience at Heymann Performing Arts Center. 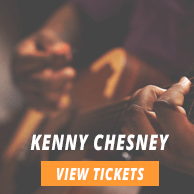 The average Heymann Performing Arts Center Tickets price will cost you between $69 and $282, if you are looking for the cheapest seats then catch the event being held at the Heymann Performing Arts Center, Lafayette on 28/04/2019. The average ticket will cost you the highest on 12/10/2019 at the Heymann Performing Arts Center, Lafayette. Minimum get in price is for Heymann Performing Arts Center Tickets is $28 for the event being held at the Heymann Performing Arts Center, Lafayette on 28/04/2019 , there are some venues that have a much higher get in price, for instance the cheapest seats at the Heymann Performing Arts Center, Lafayette on 05/07/2019 will set you back $118. I want the tickets and all the information about event lineup in heymann performing arts center this year. Please go through our page to find out all your relevant information before you order Heymann Performing Arts Center Tickets.